To find the fountain of youth - what would that entail, to live forever, to pass through many generations, without dying? Would it be a blessing or a curse? 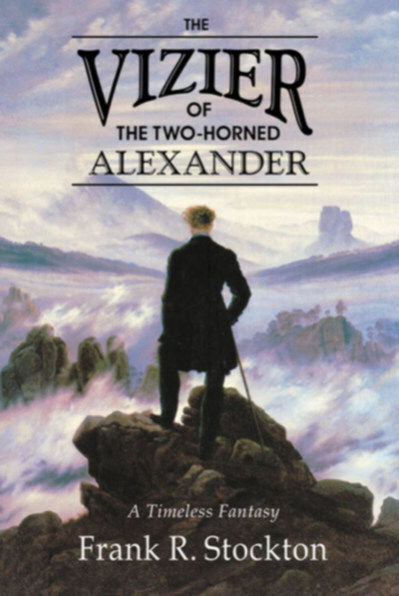 In The Vizier of the Two-Horned Alexander we are taken on an amazing journey, as the man originally known as Kroudhr, Vizier to the King Alexander, tells his rather bewildered American guest a bizarre story. When he was a high ranking official of the King's court centuries ago, Kroudhr secretly discovered the magical elixir that bestows immortality. He went on to experience many marvelous adventures over the succeeding generations, as he took on different social roles, worked in a variety of occupations, became rich, sank into poverty, married countless times. He also explains the various methods he used to conceal his unchanging physical condition. Unlike other personages in fantasy literature who have claimed immortality, Kroudhr did not go through a series of guises as the great composers, writers, government officials, and scientists of history. Instead, he assumed far more humble personas. However, from time to time he met, and even helped, geniuses and leaders with their work. The Vizier of the Two-Horned Alexander is an intelligent account of the practical issues of life without end on Earth: the advantages, the odd coincidences, the distorted view of human society. The story focuses on the constantly unfolding situations, overlapping and shifting, that confront the man who cannot die. Overall, the author gives us a mature, cultured perspective on this most unusual character. Click here to read a free 12 page excerpt from the book. Click here to read Frank R. Stockton's biography.